Endless Pools Rebate or Ride Event! The Altair Series direct vent gas fireplaces deliver a clean-faced design featuring an enticing view of high-definition logs and a realistic flame for a true fireplace appeal. The Altair Series direct vent gas fireplaces represent customizable realism. This elegant series comes standard with magnificent high-definition logs, vibrant flames, and wireless wall-mounted controls (standard with electronic ignition models). The Altair Series offers a variety of optional accessories that allow you to tailor your fireplace to your personal taste. 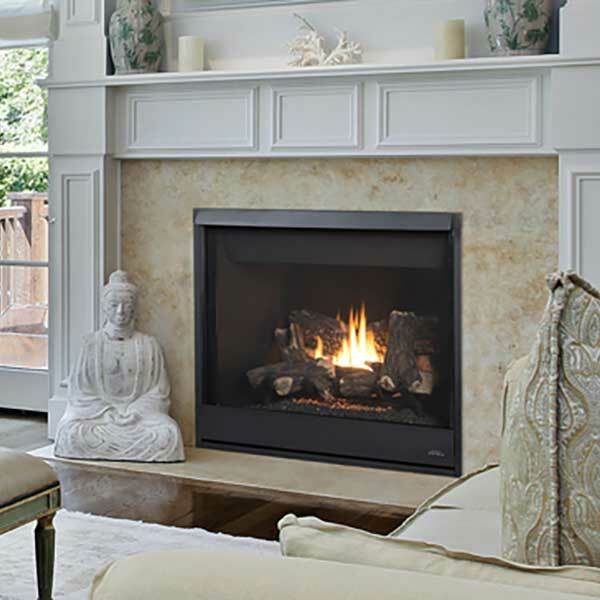 Altair Series fireplaces will transform any house into a cozy and inviting home. Electronic ignition models include seamless battery backup and provide continue operation in the event of a power outage (IPI/CPI switch standard). *All applicable models comply with ANSIZ21.50/88 barrier requirements.